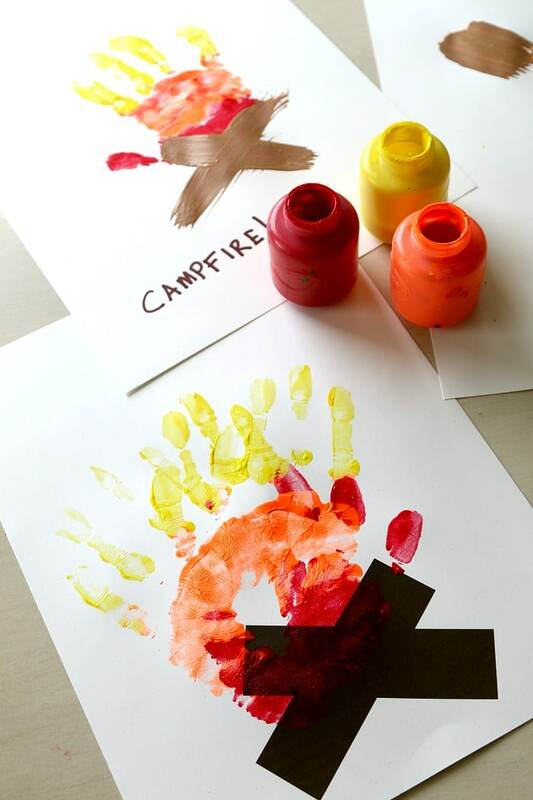 Handprint crafts are so much fun and are abundant over the fall and holiday season. 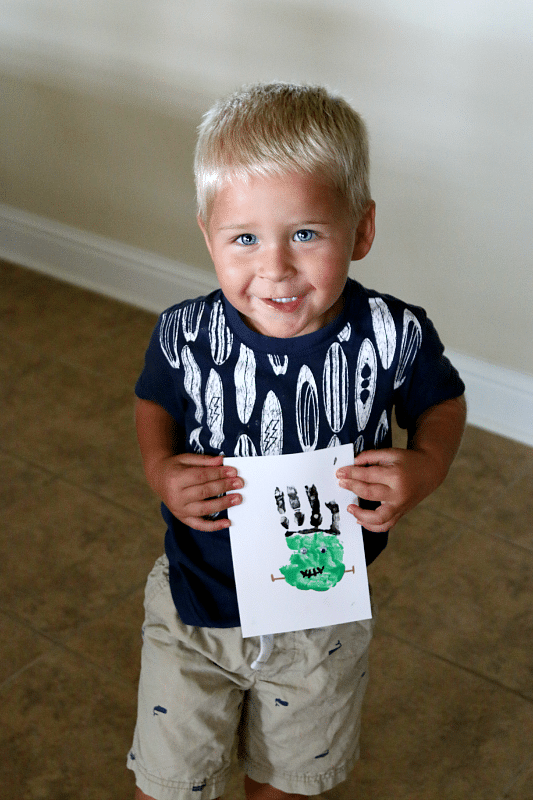 Using a child’s hand print or foot print makes a wonderful card to send to grandma or a gorgeous framed craft. For most kids, the painting portion is also some sensory fun and with parental super vision can be a really great way to enjoy the Halloween or Thanksgiving crafting without involving glue or scissors. Look below for over 10 Halloween friendly hand print crafts you can get started with right now! « Make Glitter Slime Without Glitter Glue!